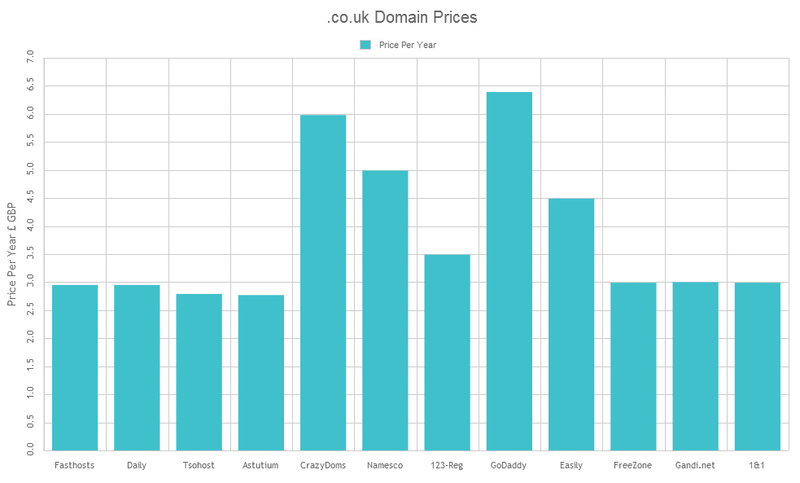 A chart/infographic comparing .co.uk domain name prices from a selection of the most popular registrars. View in landscape recommended. Tap/click for full size. Prices in £GBP per year. Prices correct as of 13th August 2013.